For so long, a humble cash register sat on the counter of many cafés, tallying up sales and securely storing the cash. But the needs of business have changed drastically in recent years, and your point of sale equipment can no longer be viewed simply as a glorified calculator. Forward-looking venue owners need to consider their POS system as a vital management tool. A properly configured POS system should be easy to use. The popular utilisation of touchscreen terminals allows extensive menus to be accessible with just one or two touches of the screen, simplifying the sale entry process and reducing errors. Having the POS layout set out logically also means that new or casual staff can quickly be trained to navigate the screen and accurately enter customer orders. Additionally effective in-house communication is vital in improving efficiency, particularly when it comes to waitstaff sending orders to the kitchen, barista or bar for preparation. So whatever the needs of the venue, a well setup POS system allows operators to be quicker when serving your customers without sacrificing accuracy – reducing wait time and staff overheads. 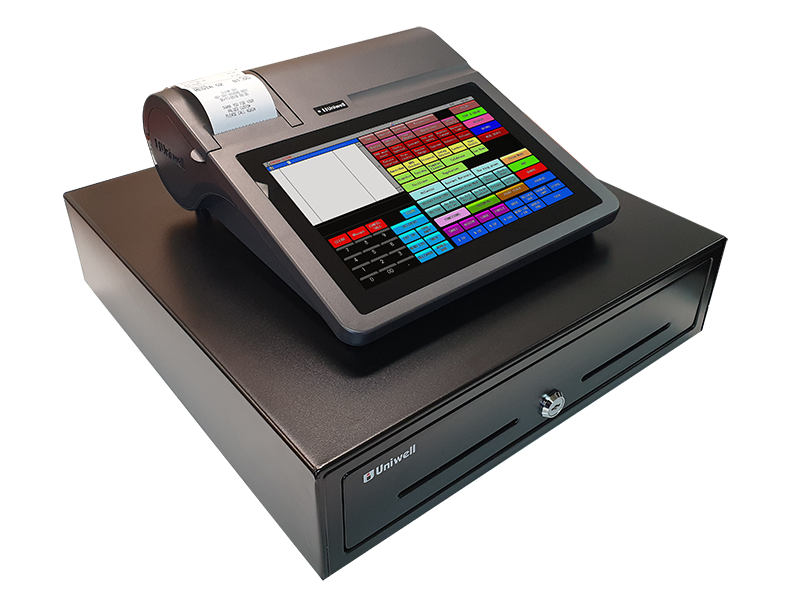 An integral function of the modern POS system is the ability to create and run various promotions that are automatically applied at your POS terminals without extensive staff intervention, including product specials, meal combos and time-sensitive promotions. Graphical customer displays allow relevant advertising to be presented to those waiting at the counter. Another important promotional tool that many cafés utilise is that of Customer Loyalty. Whether it is a simple ‘coffee card’ program or a fully integrated marketing platform, the latest POS terminals can automate the loyalty function, enhancing the customer experience and further reducing staff errors. Most reputable point of sale solutions include extensive back-office reporting. This vital component of your POS system allows management to keep their ‘finger on the pulse’ of their operation. Accessing meaningful historical data provides a benchmark for future performance and a basis for good business decisions. For instance, analysing sales trends across a range of periods allows you to manage inventory needs and staff costs, as well as measure profitability and the success of promotions you undertake. Of course, there are many other POS technology options that can be of great benefit in the management of a hospitality venue. But when deciding on a new point of sale solution, or even when looking at making improvements to your current setup, don’t overlook these three basic factors!